It seems like everyone is interested in hoodia weight loss these days. 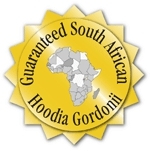 OK, so what is South African Hoodia Gordonii? Hoodia Gordonii, a cactus-like plant, was discovered thousands of years ago by the San Tribe of the Kalahari Desert in South Africa. Tribesmen chew the bitter hoodia plant to suppress hunger and thirst during their long hunting trips. Hoodia gordonii grows in clumps of green upright stems. 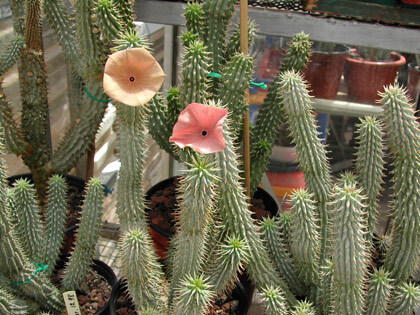 Although it resembles a cactus, hoodia is actually a succulent plant. South African Hoodia Gordonii contains the molecule p57, which has been touted as an obesity cure. South African scientists isolated what they believed to be the active ingredient in pure hoodia gordonii, which they named p57. After obtaining a patent in 1995, they licensed p57 to pharmaceutical company Phytopharm. The company has since spent more than $20 million on hoodia research in hopes of creating an all-natural weight loss supplement. Hoodia gordonii is available in powder, capsule or liquid form, or as hoodia tea in health food stores and on the Internet. There is also a hoodia diet patch for weight loss. Despite its apparent popularity, there is a lack of published scientific trial data in humans showing that hoodia is effective or safe. Research continues into the potential benefits for hoodia as an appetite suppressant and weight loss supplement. Are there Hoodia Side Effects? South African Hoodia Gordonii is often promoted as a herbal diet pill without side effects, because the tribesmen in the Kalahari Desert have been using the plant for thousands of years. But the truth is that hoodia hasn’t been around for long enough in the U.S. and hasn’t been subjected to proper safety testing to discover any possible side effects, drug interactions or safety concerns. Those suffering from diabetes should be cautious about using it. One of the ways hoodia works is to trick the brain into thinking that it has enough blood sugar. For diabetics, it’s possible that a person’s blood sugar could drop to dangerously low levels while using hoodia. South African Hoodia Gordonii is believed to work by suppressing not just appetite but also thirst. There have been some news reports of African shepherds using hoodia to take the edge off hunger pangs, but later dying of dehydration because they didn’t feel thirsty and thus forgot to drink water. There are many species of this natural weight loss supplement, but the gordonii variation is the only one that has the ability to suppress one’s appetite. Therefore, when you buy South African Hoodia Gordonii, you want to be sure you are buying the pure product. Don’t buy hoodia extracts, because you won’t be getting the actual center of the plant where the potent appetite suppressant qualities are located. Pure South African Hoodia Gordonii is more expensive, but you get what you pay for in this regard. 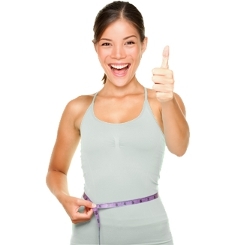 To find quality Hoodia Gordonii products in easy-to-use forms, the good news is that there are many suppliers of this quick and easy herbal weight loss product online and in herbal supplement stores. It is important for buyers of Hoodia Gordonii to check the actual strength of Hoodia gordonii they are buying, which means knowing whether it is genuine pure hoodia or just hoodia extract. Clinical trials of hoodia with obese volunteers that have shown mixed results. In one study, individuals given an extract of the plant ended up eating about 1,000 calories a day less than those in control groups. Physical responses to South African Hoodia Gordonii include feeling full more quickly, a reduced interest in eating, a longer time before hunger returns and a general feeling of well-being. Some people who take hoodia have reported success with the 3 day diet plan. There is still no definitive research showing that hoodia works as an appetite suppressant in humans. Yet while not scientifically-proven, anecdotal evidence favors the possibility that Hoodia Gordonii in its purest form may benefit those persons seeking a natural appetite suppressant to help them lose weight.